Creating content is the easy part. But the difficult bit is getting your work out there and seen by your audience. Most of us who work in an industry where high value content is essential know the frustration all too well. You've spent hours toiling over a perfectly structured and wonderfully written blog post or sales page, only for it to get lost in the ether. It's probably somewhere in Google's search results, if you scroll through enough pages… which no one does. Take the time to give search engines what they want and your content will eventually get in front of your target readers. You've probably heard of Search Engine Optimization (SEO) – it's become the holy grail of organic online marketing – but what exactly does it take to optimize your content for search engines? In your Content Sparks package, you'll find a number of pieces that you can use for promotional purposes. Naturally, as promotional elements, you’ll want as many members of your target market as possible to see them. To make sure that your market finds your published content when they search, be sure to incorporate as many of the following SEO factors as possible. The first step is in establishing the right keywords for your content. These are the words and phrases that people use to search for information. For example, if people are looking for information about places to stay in Disney World, they might search for ‘Disney World accommodations'. What are the most important aspects of your content? What does your content promise to deliver? What are some broader relevant industry terms? How does your content relate to your specific audience? Can you be more specific about what your content promises to deliver? What are some ‘niche’ terms that apply to your content? Now think about alternate keywords. What else applies? For example, condo rentals could also be referred to as ‘timeshares'. Or you could be talking about ‘hotels in Disney World for families with children'. It’s a good idea to add a few extra relevant words or phrases… but be careful not to dilute your focus with too many vaguer terms. Once you’ve established these three sets of keywords, you can start to apply them in different ways. Start off with a good foundation for where you'll publish your content. Having an SEO friendly URL is incredibly important. Make sure your URL matches your content with one or two principal keywords to describe what your piece is really about. This is extremely important when creating things such as blog posts that require a targeted ‘slug', or URL ending. Once you've created the platform or address for your content you can go on to begin creating it. Make sure you reference your keywords early on in your content to get immediate recognition of what your piece is really about. If you’re posting images that don’t include text for referencing, add a short introduction beforehand to describe what the image is. The next step is to focus on placing the right words and phrases within your content. Just like with your alternate keywords, make sure you add similar words to your content, as well as your keywords and phrases. Search engines call this Latent Semantic Indexing (LSI) and it basically means covering all of your bases with other relevant words and phrases. Longer content equals more potential for including relevant keywords and phrases, and is very much appreciated by search engines. Where possible, produce posts over 1800 words. Next you'll need to focus on the structure of your piece. Include subheadings that reference your keywords for a little more reinforcement. These subheadings will be flagged as more important points in your piece so make sure they're relevant! Again, make sure the subheadings serve a purpose for the reader and aren't just there for SEO. They should tell people what the next section of content is about AND should tell search engines what they're looking at. When you go to publish your piece, think about the actual name of the post in terms of both the reader and the search engine too. Your ‘title tag' is the bit of text code where you put the title of your page or post. This is one of the first things that search engines pick up on so make it count. Make sure that one or two principal words are featured, but make sure it’s short and to the point. Also, be aware of relevance – if your title tag doesn’t quite fit with the content you’re publishing, rethink it. You need to consistently deliver on your promises to people AND robots. The next step is preparing any additional content to go with your piece, such as various multimedia elements. If you’re adding images, for example, make sure you've filled in ‘alt text' to match them. This is the text that shows up to readers if the images don't show. However, search engines will use these tags when they’re referencing your images in their own image search sections, and are another way of building on your overall solid SEO strategy. If you add any images that aren't your own and need referencing, it's a great opportunity to create outbound links too. Links to other relevant sites and pages are incredibly important. Not only will search engines appreciate them, but your industry contacts/colleagues/partners will too. Take a moment to first think about what you're hoping to achieve with your content before you include outbound links – you don't want to end up sending people elsewhere who could have spent more time checking out your content! Similarly, including links within your site between pages once again helps to build upon the strength of your SEO strategy as it makes it easier for search engine ‘spiders’ to crawl around and create an in-depth map of everything you have to offer online. As well as links around your site, make sure you give people the opportunity to share. Adding buttons for sharing content on sites like Facebook or Pinterest will not only help your content get out there faster, but also help build those all-important backlinks (see last point in our list). With all of this content, you do need to make sure you're not creating a post that's too heavy. A slow loading page will be to the detriment of your Google ranking as they take page loading speeds into consideration when indexing sites. If your website is particularly slow, consider enlisting expert help to speed it up. Search engines love to see traffic coming in from other relevant sites, so start getting in touch with your contacts within your industry and ask them to reference your site on their own. If one of your principal keywords is ‘branding’, for example, links referred from sites that have a similar focus will go a long way in cementing your own reputation with the word. You can sweeten the deal by offering to reference their site on your own too. 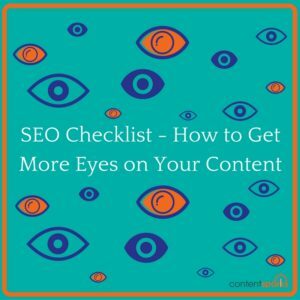 Making sure that you take the time to include each of the relevant SEO factors for the content that you publish will help ensure it's indexed correctly. And most importantly, it means your content will be presented to the people you want to see it. 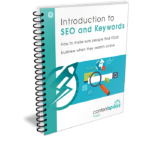 You can learn a lot more and teach others about SEO factors and strategies with our rebrandable course, ‘Introduction to SEO and Keywords‘.